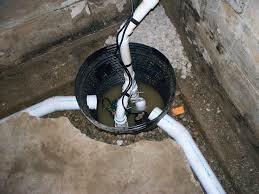 NJ Sewage Ejector Pump Repair Services. 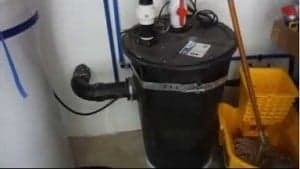 If your New Jersey home has a basement with bathrooms, a laundry room, or other amenities that require plumbing, than you probably have a sewage ejector pump installed. 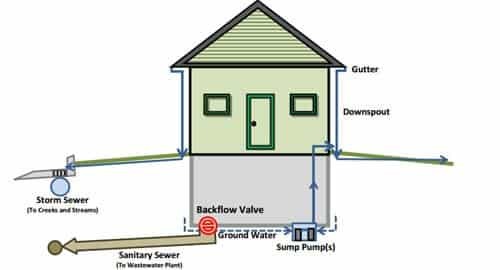 Sewage ejector pumps are designed to protect from flooding and sewer backflow in areas where the elevation is too low to rely on gravity to move wastewater away from your home. Like any complex plumbing device, your sewage ejector pump may occasionally need repairs for common problems like faulty wiring, broken float switches, and grease buildup. 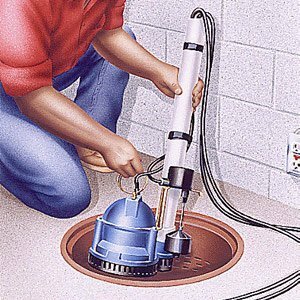 Sewage ejector pump repair is extremely important for keeping your home protected from costly water damage. As you can see, the sewer pipes from the basement bathroom are located below the main line, so they won’t flow into the sewer system along with water from upstairs. Instead, the sewage ejector pump actively forces the water upward. 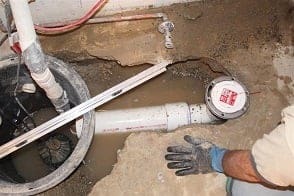 If you’re looking for a NJ sewage ejector pump repair contractor in New Jersey, give us a call any time at A1 Sewer & Drain. We’ve even available on nights and weekends for 24 hour emergency sewer repair services and ejector pump services. The pump won’t turn on at all. This can stem from issues with the float switch. Floats will wear out and need to be replaced after a while. Sometimes, a leak or other problem can cause the fluid level inside the ejector pump to dip too low, preventing the float switches from engaging. 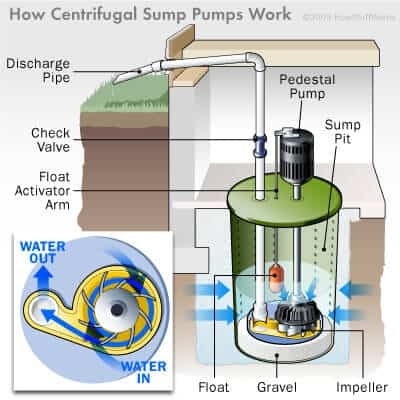 It might also be a problem with the electrical wiring, a jammed or clogged impeller, or simply an aging ejector pump that should probably be replaced with new sewage ejector pump installation. The motor runs, but no water is ejected. This can often mean that the sewage ejector pump’s check valve is stuck. You could also be dealing with a broken impeller, clogged discharge pipe, or a water leak at the bottom of the pump basin. The pump runs continuously. Sewage ejector pumps are designed to eject water when the float switches are activated, not to run continuously. This can be a sign that you may need sewage ejector pump repairs for a stuck or damaged float switch. 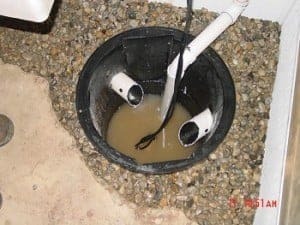 These are just a few of the problems that NJ homeowners commonly notice when it’s time to call a professional about sewage ejector pump repairs. 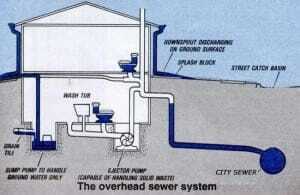 Fortunately, at A1 Sewer & Drain, we have the solution. No leaking or flood risk. Getting the problem taken care of now can help you avoid flooding and water damage later. Energy and water savings. When it’s not working correctly, your ejector pump can waste both water and electricity. When you get sewage ejector pump repairs, you’ll soon notice a reduction in your monthly utility bills. Peace of mind. When you know for a fact that your sewage ejector pump is working correctly, it’s one less thing for you to worry about.